In this digital world, it may seem odd to look to traditional books to find information about computers. However, plenty of non-fiction publications contain a wealth of information about computers for kids. These books can pull kids away from their computers and other devices, while still giving them a chance to focus on what they love. Kids today have never lived in a world without computers. As a result, they may not have as much insight into the history of computers and how computers worked as kids did when computers were just coming out. These books will introduce kids to the history of computers, general computer-based vocabulary, and even some of the lesser-known careers involving computers that they could pursue one day. The New Way Things Work by David Macaulay doesn't focus solely on computers. Instead it introduces kids to the history and technologies behind hundreds of inventions, including many machines which depend upon computers to work. Understanding how other inventions work will help kids better understand computers and new technologies that they encounter and may encourage them to research them further. Computer by Mike Goldsmith is part of the DK Eyewitness Books Series. Using clear graphics and kid-friendly descriptions, the book describes the history of computers and covers multiple types of computers. It also covers emerging computer technologies and their future uses. Some versions come with a wall chart and CD to help kids explore computers even more. Computers by Ferguson Publishing is part of the Discovering Careers for Your Future series. This book introduces kids to many of the careers associated with computers, perhaps inspiring them to pursue one of them someday. The book also highlights the education required for each career, potential salaries, and ways to find more information. Believe it or not, it's never too early for kids to learn to program. In fact, elementary school students around the world have started to learn the art of programming and teaching kids to code has become one of the latest trends. While learning about programming may inspire kids to pursue a career in a digital field, these books will also simply help provide them with an early basic knowledge of the skills they're bound to need in the future. 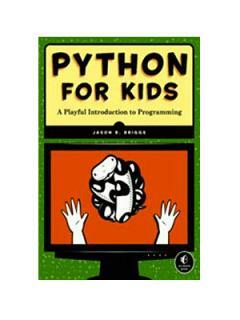 Python for Kids: A Playful Introduction to Programming by Jason R. Briggs introduces kids to Python, an easy-to-learn programming language. As kids learn to program in this language, they'll get to complete fun experiments and will learn about the basics of coding through colorful illustrations and kid-friendly language. Super Scratch Programming Adventure! by the LEAD Project teaches kids to code by having them make video games. Kids will build confidence as they read through the step-by-step instructions to quickly create games that really work. Hello World! Computer Programming for Kids and Other Beginners by Warren and Carter Sande, was written by a 10-year-old and his dad. Since it was written by a kid, it's a book other kids can relate to. The book focuses on the programming language Python, providing kids with an introduction and then guiding them through a variety of fun experiments to test their new programming skills. The Internet plays a big role in kids' lives. While they're too young for most social media sites, they spend time online completing other tasks and interacting with their peers in other ways. Books about the Internet will teach kids how to use the Internet safely and effectively, as well as provide them with some basic information about what makes the Internet run. Cyber-Safe Kids, Cyber-Savvy Teens by Wiley Nancy E. Willard is a great option for kids, teachers and parents alike. The book is a guide to learning about safe behaviors online. Cited! Identifying Credible Information Online by Larry Gerber helps kids wade through the wealth of information online. While designed for kids in junior high and high school, even kids in upper elementary school will benefit from the advice and examples of this book, particularly when it comes to conducting research online. After all, being on the Internet doesn't make it true. Want to get kids to read something other than webpages or programming manuals? Get them hooked on fiction with a computer-based twist. These books combine computers and technology with stories kids will love. Mousenet by Prudent Breitrose follows mice who learned to operate computers by watching people work in Silicon Valley. To help them use computers more effectively, the mice invented the world's smallest computer. From there, the book and its sequel Mousemobile, cover many topics related to technology and the digital world, while also tackling topics such as climate change. The Magic School Bus Gets Programmed by Joanna Cole adds a digital element to the popular science series. In this book, kids learn about computers as they help Ms. Frizzle investigate a problem with the school's computers. The book introduces kids to key computer vocabulary and many other cool computer facts. Males still dominate the world of computers, but there are books and resources that have been created to help get girls interested in computers and technology. These books present technology in a way that appeals to girls and encourages them to seek out careers in computer-related fields. A Smart Girl's Guide to the Internet from American Girl Publishing, introduces girls to some of the dangers they could face online. Through its specific scenarios, kid-friendly graphics, and tips, girls will learn how to navigate the Internet wisely and handle any dangers they encounter. 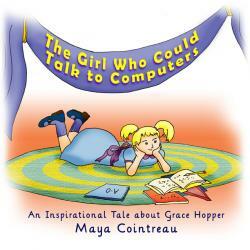 The Girl Who Could Talk to Computers by Maya Cointreau introduces girls to Grace Hopper, a young girl who played a big role in the history of computers. This tale is unique because it shows a successful female in a typically male-dominated field. Perhaps reading it will inspire more girls to enter digital fields. The Princess at the Keyboard by Amanda Stent encourage girls to become computer scientists. The book outlines the basics of computer science and profiles famous women in the history of the field. It also helps answer many of the questions girls have about a career in computer science. Many kids spend their time on computers and other devices playing games and socializing with their friends. Computer books get kids to look beyond the games and get a sort of behind-the-scenes look at computers. They encourage kids to think of computers as more than a means for playing games and to consider the history, science, and careers associated with them.